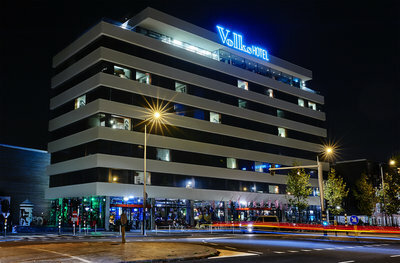 Amsterdam-based organization FIBER has confirmed Volkshotel as its last location for the upcoming FIBER Festival 2015. The festival takes place 15 & 16 May, and focuses on audiovisual art, digital culture and electronic music. One of the more prominent festival components is the symposium titled 'Exploring the Subterranean', which will be hosted by the popular Volkshotel. This symposium presents a full day of talks and discussions focusing on the influence of digital technologies on contemporary art, culture, and society. Volkshotel is the last location participating in the festival, and makes a fitting addition to the earlier confirmed cultural hotspots A Lab and Radion. Located in the thriving center-east, Volkshotel is easy reachable by metro from A Lab and Radion, building on the underground sense communicated by the festival theme. 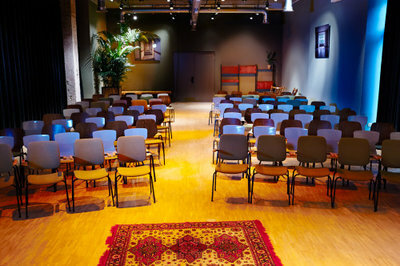 Within Volkshotel’s Houten Zaal--formerly the editorial offices of the Volkskrant Newspaper--FIBER will present 15 distinguished speakers who will guide the audience in a collective excavation of the Subterranean. Alongside up-and-coming artists and researchers, expert panelists Filip Visnjic, Matthew Plummer-Fernandez, and Hans de Zwart will question how digital systems influence the way we live and perceive our surroundings. Themes ranging from social media and privacy in the Post-Snowden age, to invisible technologies such as sensors, code and algorithms will be discussed. In view of this, the FIBER Festival 2015 symposium will critically consider and explore the artistic potential of the hidden technological layers of the Subterranean that we are currently embedded in. As one event within the entire festival, FIBER will present the symposium at Volkshotel in addition to a full festival programme of installations, workshops, meetups, video screenings, AV performances, and DJ sets by renowned and emerging talents. FIBER Festival 2015 attendees can expect a two-day long immersive experience focused on looking ‘behind the screen’ at our digital tools of the hidden underground worlds of The Subterranean.